Built 1849-1853 by Hjalmar Wijnbladh and Fridolf Wijnbladh. Opened 2 Jan 1853. 1882 renovations after a fire. 560 seats. 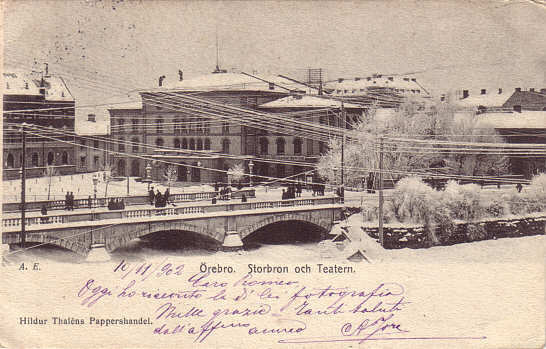 Front Text: "Örebro - Storbron och Teatern"